"I have the time to start an Online Business, but I don't have the finances to start". I have taken my time to list out the few online businesses you can start with as low as 5k, with huge returns of about 300k Naira monthly. If you have a mobile phone/Laptop and internet connection, then this is your time to make money. If you don't start any of these businesses immediately after this post, then you know that your case is extremely different. There are no tricks in what I have written down here, all it takes is just determination and action. If you are an aspiring entrepreneur there are numerous online business opportunities readily available. It is much easier to make online business ideas a reality as compared to a 'bricks and mortar' offline businesses. Not only are the set up costs significantly lower but the internet makes it possible for you to easily expand your business beyond the constraints of your physical location. It does not matter about your age, education, technical skills or qualifications if you want to take advantage of the online business opportunities that are available. Anybody can start one. Your online earnings do not all have to come from just one source. In fact, it can be more advantageous when you have different online small business ideas so that you have a variety of income sources so that you can see what works best for you. Produce Your Own Information Product. People use the internet to find information and if you have valuable information about a particular subject, people will pay for it. One of the best online business ideas is to write and sell your own eBook. You need to write an eBook on a topic that people are searching for information about. The topic can be one that you're very knowledgeable about or it can be one that you become knowledgeable about by researching the information you need to know. Other than eBooks, you can also create online courses or workshops sharing your expertise. Start selling using several platforms. Does it sound easy? It is easier than I just wrote. All you need is just your phone/laptop and internet connection to make so much money in a month. One of the easiest online business opportunities is affiliate marketing. This is when you promote other people's products or services and when you make a sale, you get paid a commission. You find a product that you believe is good and will sell well and you begin to promote it for a commission. Promoting just means that you're raising awareness about a product by driving traffic to it. Does it sound easy? Yes, it is easier than that. But you should know the tips and tricks to beat the system, that is why I want you to get my guide on how I beat the system easily. Many successful online business ideas are structured around membership websites. A membership website is you get paid to give your knowledge and expertise to others. For instance, if you're a specialist on repairing computers, you build a website where people can log in and get access to answers to their questions, get involved in a forum, etc. Once you are making a profit from your membership website, you can teach others how to do it by writing a how-to eBook or by putting together a course! Freelance Your Services On The Internet. Another one of our online business ideas is offering freelance services. Freelance just means that you are your own boss. You can take on the jobs you want and turn down the ones that you don't. 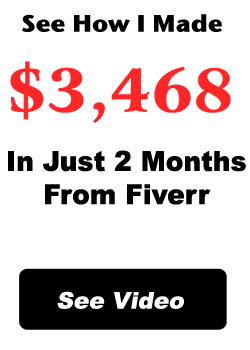 There are so many online business opportunities for freelancers. You can do graphic design work, build websites, edit what other people wrote or you can write articles from scratch for other people. Dropshipping means that a warehousing company makes its goods available to you for sale. This includes shipping the order directly to your customer, often without the customer knowing that it came from the drop shipper's warehouse. It can be a very good way to start an online business as you don't have to worry about fulfilment or inventory issues. When setting up an online business there can seem to be a mountain of obstacles to climb - from getting your website online to finding the right products to sell and the best customers to buy them. To those businesses having websites attached to it; once you buy a domain name for 300 Naira, and host it with 2,500 Naira, you can simply customize with WordPress and save yourself the stress of paying thousands of Naira to developers. You can use the woo-commerce plugin to create a store on it. You don't have to thank me so much, we all should be rich. If you have interest in becoming an affiliate marketer or freelancer, then just visit any of the links below. OP this is a very nice piece of information. 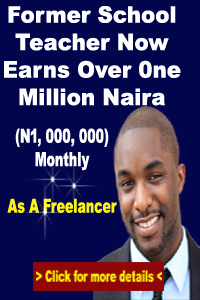 Making money online is really a very great opportunity that Nigerian youth should start considering. Insta Crusher 2 is a little but powerful software that is fully automated that can make you more traffics, sales from affiliate promotions, commission and money from one of the most popular platform called INSTAGRAM. Even if you are not interested, you should check it out. You are just a step to making a good figure every month.